Learn how to improve your immunity and boost your health with the power of green smoothie recipes! 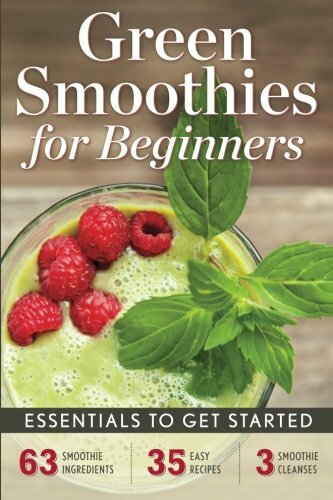 Green Smoothies for Beginners provides a complete introduction to the amazing health benefits of nutritious green smoothie recipes, with easy tips for creating your own green smoothie recipes from scratch. Whether you are looking to lose weight, cleanse your system, or are seeking a daily health supplement, Green Smoothies for Beginners will help you discover how to increase your intake of essential vitamins, antioxidants, and minerals through the power of fresh, delicious green smoothie recipes. With delicious and easy green smoothie recipes and step-by-step plans for starting your own detox, you will begin to see the results of green smoothie recipes right away.